Seriously. The amount of time kids spend in front of a screen today is frightening (recent studies show children ages 2-11 are watching as much as 32 hours a week!) And while we would like to encourage any parent who is letting their child view 32 hours of anything to cut it back, we also know that, as moms, many of us depend on those breaks so we can make dinner, send an email; catch our collective breath. Abbie Schiller and Samantha Kurtzman-Counter are Mamas on a Mission to “Help Parents Raise Good People.” The two high school friends reunited in 2010 with the common goal to redefine screentime: to create media for kids that would benefit (rather than harm them) and help promote lessons that lay the social-emotional foundation essential for a happy, healthy life. 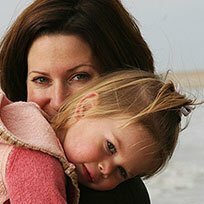 As moms, they both also knew that it takes a village – and thus TheMotherCo.com was born to aid parents in their struggles to instill values and skills that could help build a generation of kind, considerate humans and make parenting a little easier. They love what they do! They get to work with great writers, animators, composers, and world-renowned experts every day – and even better, they get to connect with YOU, the amazing Mother Co. community of parents who care about raising good people in this world. WRITE US and tell us what you think! We read every email!